Cats are complicated creatures that often perplex even long-time owners. While figuring out how your feline friend’s mind works is impossible, learning how to take care of a cat is a task at which you can easily succeed. Use the tips below to keep your cat happy and healthy. Ultimately, cat care is a matter of identifying your cat’s needs and figuring out how to meet them. To accomplish this, you will need to consider factors like safety, health care, feeding, grooming, entertainment, and the all-important litter box. Indoor cats tend to enjoy healthier, longer lives, so we recommend that you keep your kitten or cat inside your home. If your cat will spend time outdoors, be sure to outfit him with identification in case he runs off. Outdoor cats may also require additional vaccinations and medications that can protect them from fleas, ticks, and the diseases that these pests can carry. Even if your cat will stay indoors, remember that cats move incredibly quickly when scared or anxious. Outfit your cat with a breakaway collar and identification tag in case she gets lost. Alternately, ask your veterinarian to microchip your pet for peace of mind. Quality medical care is important if you want to keep your cat healthy. Although your cat likely won’t look forward to vet visits, the vaccinations and routine checkups provided at the veterinarian’s office can help to prevent an assortment of serious diseases and ensure that you catch any health issues as soon as possible. If you don’t intend to breed your cat, your vet will probably encourage you to consider neutering or spaying as these procedures can reduce the risk of certain health and behavioral problems. If you do hope to breed your cat, your vet can advise you on how to protect the health of both your pet and his offspring. Create a feeding station with a mat and two sturdy bowls. One of these bowls should always contain fresh, clean water. The other should be used for mealtimes. Choose a high-quality, nutritious food that is formulated for feline health and appropriate for your cat’s needs. Then, simply feed your cat regularly. Cats can handle most of their grooming needs, but a regular brushing can be an enjoyable ritual that reduces shedding and prevents hairballs. Some owners also trim the tips of their cats’ claws, being careful not to cut into the quick. Other owners allow their cats to maintain their own claws by providing scratching pads. Giving cats a location where they are encouraged to flex their claws has the added benefit of stopping them from using your furniture or woodwork as a scratching post. If you’re wondering how to take care of a cat, you need to learn about litter boxes. Teaching a cat to use a litter box is generally as simple as showing them where it is located (source). However, if you want your cat to continue using the box, you’ll need to keep it clean. Most cat owners find it easiest to use a clumping cat litter that allows you to scoop away the mess daily. Be sure to give the box a more thorough cleaning periodically by scrubbing it with hot water and dish soap and filling it with fresh litter. Some cats will avoid using a litter box that leaves them feeling exposed or unsafe; for these cats, it’s best to provide a covered litter box and place it in a relatively quiet area of your home. Cats are creative, adventurous, and quirky. If left to their own devices, they’re liable to see kitchen counters as places to lounge in the sun, upholstered chairs as scratching posts, and your house plants as snacks. To avoid misadventures, make sure that your cat has plenty of entertainment options. Provide scratching pads made from various materials. Offer balls that crinkle and bounce and toys that stimulate the senses. With cat toys, it’s not the price that matters. A piece of paper crumbled into a ball or an ice cube that glides across the floor will delight a cat, allowing her to chase and pounce and play. Even a paper bag can provide hours of enjoyment; just be sure to remove any handles that might create an entrapment hazard. Most cats will happily include their people in their play, but be careful not to teach them to chase human fingers or toes. Instead, direct their attention to a toy. If necessary, rub catnip on the toy to focus your feline friend’s interest there. 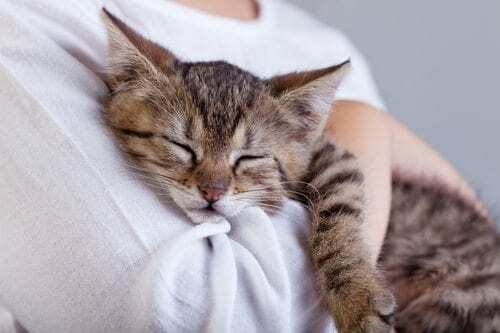 Learning how to take care of a cat is not a one-time chore; it’s a perpetual work in progress. Much like people, cats are unique individuals that grow and change throughout their lives. However, as countless cat owners will attest, learning to care for an ever-evolving cat is also incredibly rewarding. Ready to get started? If you live in Missouri, head to Petsway, a family-owned pet store. Our knowledgeable associates can provide further tips regarding your cat’s care. We carry a wide range of high-quality cat food, and we also offer grooming services like bathing and nail trimming. 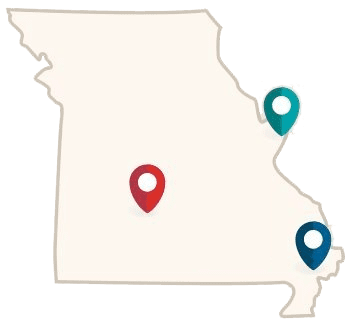 With locations in Springfield, Nixa, St. Louis, St. Peters, and Poplar Bluff, Missouri, we’re sure to have a store near you. To learn more about how to take care of a cat, please contact us online or call your nearest PetsWay location.